Guilford Mews is a 55+ community in Howard County, Maryland. Residents of Guilford Mews enjoy a maintenance-free lifestyle as well as a charming community center to gather with neighbors and build lifelong friendships. This intimate active adult neighborhood consists of only 26 attached homes in a quiet setting that’s also near plenty of shopping, entertainment and attractions. Residents of Guilford Mews can gather at the proposed 1,676 square-foot community center. The community center will be the central hub of this 55+ neighborhood. It will feature a great room and catering kitchen where homeowners can socialize any day of the week. Outside of the community center, residents will be able to hang out in the spacious patio and beautiful natural spaces to get some fresh air. They can also enjoy scenic strolls along the walking and biking trails that surround the neighborhood. Lin-Mar Homes began construction of Guilford Mews in 2010 and plans to build 26 attached homes. Homebuyers can choose from two elegant floor plans: the Bankard and Crosby II. These attached homes offer between 1,741 and 1,950 square feet of living space. They have two or three bedrooms, two-and-a-half bathrooms, and an attached one or two-car garage. All homes feature energy-efficient designs, gourmet kitchens, second-floor lofts, fireplaces, and first-floor master suites. Homeowners living in Guilford Mews enjoy a maintenance-free lifestyle. Thanks to the homeowners’ association (HOA), residents don’t have to worry about exterior-home chores. The HOA fee covers lawn maintenance and snow removal that allows residents to spend their time pursuing hobbies or exploring new activities. Guilford Mews is located in Jessup, Maryland and is near plenty of dining, shopping and entertainment options. Residents can shop and grab a bite at Arundel Mills mall that’s only eight miles away. They can also visit museums, art galleries, and other cultural events in Columbia, which is less than ten miles away. There are plenty of golf courses in the area, such as Fairway Hills Golf Club, Hobbit's Glen Golf Club, and Timbers at Troy in Elkridge. Getting around town is a breeze with easy access to Interstate 95, Routes 32 and 1. Homeowners can take road trips to visit Baltimore that’s 17 miles away and Annapolis that’s 25 miles away. 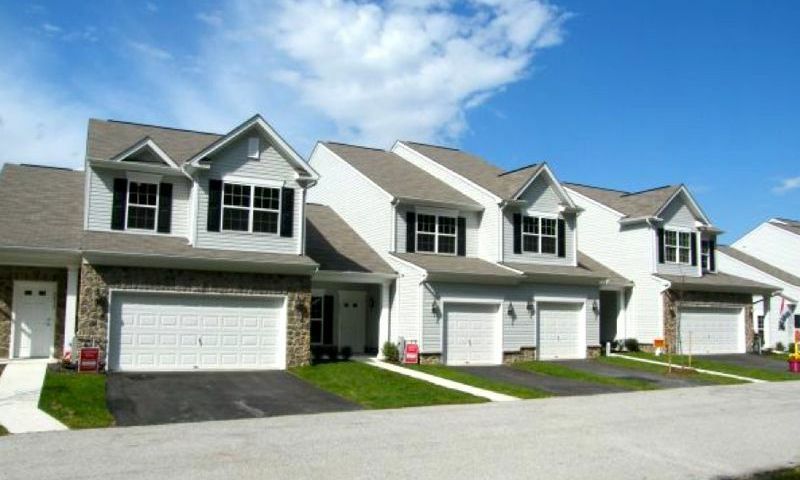 Guilford Mews is a great active adult community located in a convenient location for 55+ homebuyers in Howard County, MD. Check back soon for more information on the lifestyle in Guilford Mews. Homebuyers can choose from two models: Bankard and Crosby II. These attached homes offer 1,741 to 1,950 square feet of living space with two or three bedrooms, two-and-a-half bathrooms, and an attached one or two-car garage. Homes feature energy-efficient designs, gourmet kitchens, lofts, fireplaces, and first-floor master suites. 55places.com is not affiliated with the developer(s) or homeowners association of Guilford Mews. The information you submit is distributed to a 55places.com Partner Agent, who is a licensed real estate agent. The information regarding Guilford Mews has not been verified or approved by the developer or homeowners association. Please verify all information prior to purchasing. 55places.com is not responsible for any errors regarding the information displayed on this website.